We hope everyone had an awesome club season and improved game by game. 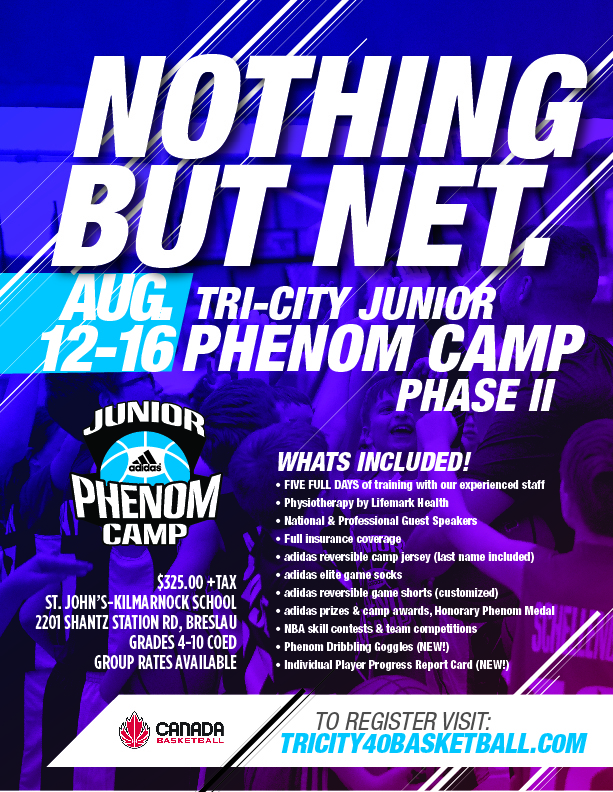 We wanted to send an invitation to your child about our 2019 Junior Phenom Basketball Camps, which is now one of the biggest basketball events in the country for skill development coast to coast! Our team will be running the 2019 Tri-City Junior Phenom Camp July 15th-19th (5 FULL DAYS) at St.John's-Kilmarnok. The co-ed event is now open for registration for rising players from Grades 4-11. The camp will run Monday-Friday-9:30 AM-4:00 PM. Lunch will be from 12:00 PM-1:00 PM each day with an available meal plan option. Our Phase II Camp will take place August 12th-16th (5 FULL DAYS) at St.John's-Kilmarnok/Woodland Christian Private School. Players will be divided according to grade and skill level to maximize reps. TEAM DISCOUNTS AVAILABLE (5+/per team)! We’ve had a tremendous amount of positive feedback and look forward to putting on a great camp for our rising Grades 4-11 players (BOYS & GIRLS) across the country. We are continuously looking for ways to add to this camp in order to maximize each player's basketball experience. Skill development including offensive and defensive tactics will be covered during training. Each player will be provided with a customized workout/training program to follow post camp (upon request). Highly trained coaches from the provincial and university level will help lead players through the three day camp in an effort for each participant to hone in on their full potential. All registered players will receive a different full customized uniform, which also includes customized phenom adidas socks & training aids! We have switched up the uniform style for all players attending. Our program is always committed to providing our players with the necessary training to achieve success on and off the court. We really enjoyed last year's camp in Breslau and looking to take camp to the next level once again! This years camp will feature Bio Steel All-Canadian Coach, Team Canada and Nippising Head Coach, Chris Cheng! Last year our campers learned a lot from Coach Cheng when he was present at camp. He will be leading multiple segments at camp and working with our players. · Phenom Camp is aligned with Canada Basketball & Sport Canada's Long Term Athletic Development (LTAD) model. 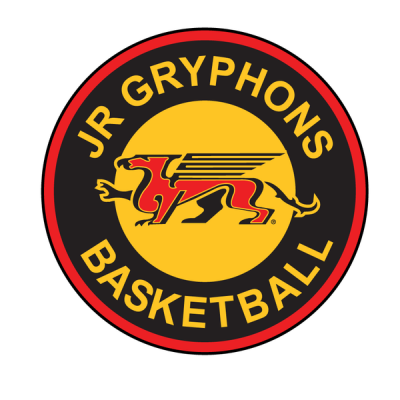 · 16 hours of progressive and purposeful on-court instruction and development. · 10 sets of structured gameplay and live action. · A Take-home "Player Progress Report" to improve on weaknesses & strengths. · Group & team discounts for five or more players is: $315.00 (Includes HST). An E-transfer is required to confirm the club discount as online payments have automated fees for the full amount of Phenom Camp. Please email me at Top40Basketball@gmail.com for any further inquiries. We will have a MEAL PLAN like last year, which consists of 2 Snacks, Gatorade and a lunch (SUBWAY). This total price for ALL 3 days will be ONLY $40.00! Camp will go a lot quicker this time so please register now and reserve your spot! We look forward to hosting your child at our upcoming Junior Phenom Camp. Please be sure to touch base with myself if you require any additional information. We have attached the camp poster to this email to share with any teammates and/or club. Imad Qahwash | President of All-Canada Basketball Camps Corp.